(April 6, 2015) Whether you are thinking about a gigantic sunflower waving in the Boulder breeze or plotting a schematic of the available soil space in the backyard, there’s no doubt garden daydreaming is a major winter diversion. Well, snap out of it! Spring is just around the corner in Boulder County. It’s time to choose your vegetable and flower seeds and get some of them started. For many, the season’s light and warmth cannot arrive soon enough. The date the first seeds get started indoors is their first day of spring. The sight of that first tomato plant pushing through the soil has rescued many a gardener from the doldrums. Plant specialists at two family-owned seed companies – BBB Seeds and Botanical Interests in Broomfield – say that the magic moment to start seeds indoors depends on the last average frost date and the specific seed. 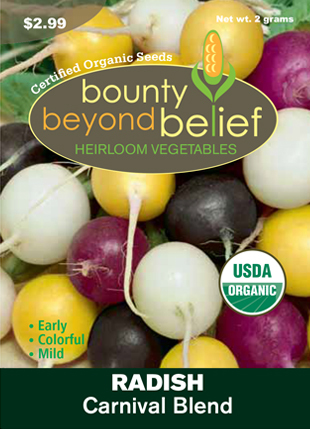 “In Boulder County that’s usually the first or second week of May, so you want to start the seeds indoors in the first or second week of March,” Becky Hansen of Boulder‘s BBB Seeds says. The date is usually later for gardens located in the cooler foothills. The first step is to decide which plants to start from seeds and which are easier from plants. Botanical Interests founder Curtis Jones says that most vegetable and flower plants can be grown from seed but some are harder than others. For novice growers he recommends starting with vegetable and flower varieties that germinate easily and are less susceptible to disease. These include legumes (peas and beans), greens and summer squashes. Tomatoes, eggplants and peppers germinate readily but are more susceptible to temperature and plant diseases. 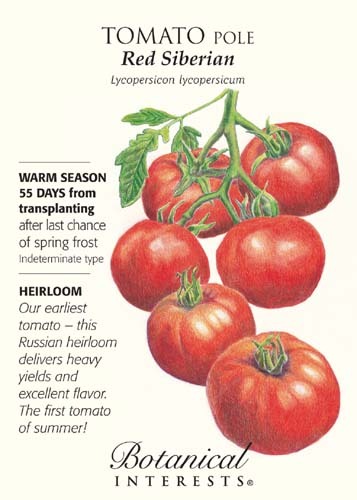 When it comes to tomatoes Jones says it’s best to start some heirloom and some hybrid varieties. Bad things can happen to good plants even when you own a seed company. “Last year 75 percent of the heirloom tomato plants in our home garden got wiped out by bugs, but the hybrids did fine,“ he says. Perennials – plants that return the following year – can be harder to germinate. These include the Colorado state flower, the Rocky Mountain columbine. Both local seed sources recommend putting columbine seeds in the freezer for a time before trying to germinate them. Once you’ve decided on your crops, start the vegetable seeds earliest that have the longest maturing time including winter squash, watermelons, tomatoes, tomatillos and most peppers. For most gardeners corn is problematic to grow in Boulder County, Jones says, because of the space required and the difficulty in protecting the stalks and ears from pests and animal visitors. You can use any container to start plants but the is to put them in starter trays with vented see-though tops. Fill the indentations with a seed starter soil mix and press the seed in the soil. “Just tamp it down a little and give it a spritz of water and you’re all set,” BBBs Becky Hansen says. Even if you have a big, wide south-facing window you’ll probably still need lights to start from seed indoors because the plants need about 12 hours of light a day. “It doesn’t have to be a grow light. It can be a regular florescent bulb,” Hansen says. The important detail gardeners sometimes miss is the distance. “The closer the better with the lights. They should be only a few inches from the top of the seedlings,” Curtis Jones adds. If the light is too far away from the young plants they will get leggy and spindly and can fall over. You want short and sturdy plants to move outdoors. Then all you have to do is keep them moist and keep the temperature of the space around the plants warmish – 65 to 70 degrees – for germination to take place. Colorado tradition is that you aren’t supposed to transplant seedlings or put in plants outside until after Mothers Day. This coincides with Boulder specialists’ general recommendation to start planting in the first or second week of May depending on the weather. Some plants including tomatoes can go out a little earlier if gardeners use “Wall o’ Water” and similar devices to protect and warm young plants in the spring. For many flower varieties the seeds can go directly in the soil including such easy-to-grow favorites as cosmos, blackeyed susans and sunflowers. Fast-growing giant sunflowers are fun for kids because they can easily produce blossoms that are bigger than a child’s head. It makes for a great summer photo. BBB Seed also offers low maintenance wildflower and grass mixtures that grow a meadow with bunches of tall grasses and flowers in between. Raised containers are becoming increasingly popular in Boulder County especially for those with limited space. Vegetable and flower seed patches and tapes from Botanical Interests embedded in compostable paper make it simpler to grow in pots and containers. Greens and culinary herbs are a natural for containers greens in a container, also cucumbers and even beets and multi-hued carrots. “Boulder County is actually a really good growing climate except maybe for melons and there are fewer pests to fight,” Curtis Jones says. “Fewer” does not mean “none” and the top tip local seed experts share is simply to be present in your garden and pay attention. Turn leaves over and look for holes chewed in tomatoes by the voracious tomato hornworms. The solution is to pick them off and dispose of them. Beck Hansen says that over the years it is important to rotate crops. Move the tomato patch around or plant beans instead in the interests of building the soil and getting rid of pests that only eat one plant. The most important spring gardening tip of all is to read the directions, even if you are a male gardener. Unlike seed packets of yore with their general instructions, the packaging (and websites) for the two local companies provides a wealth of specific information for the variety and it can change from year to year. Botanical Interests seed packets displaying paintings and botanical illustrations with instructions individual to each of the 600 seed varieties on the packages. Even a seed expert can get a little giddy this time of year. Becky Hansen says she is really looking forward to growing BBB‘s new mini sweet bell peppers in mixed colors. Here’s list of easy-to-grow vegetables that are also least likely to get diseases from Beck Hansen at BBB Seeds. The USDA Plant Hardiness Zone Map tells gardeners the best time to plant and the vegetables and flowers most likely to thrive at a location. Boulder County is mainly in Zone 5A and 5B.